I know I’ve mentioned this before, but hubby and I like to take a trip each year for our birthdays. 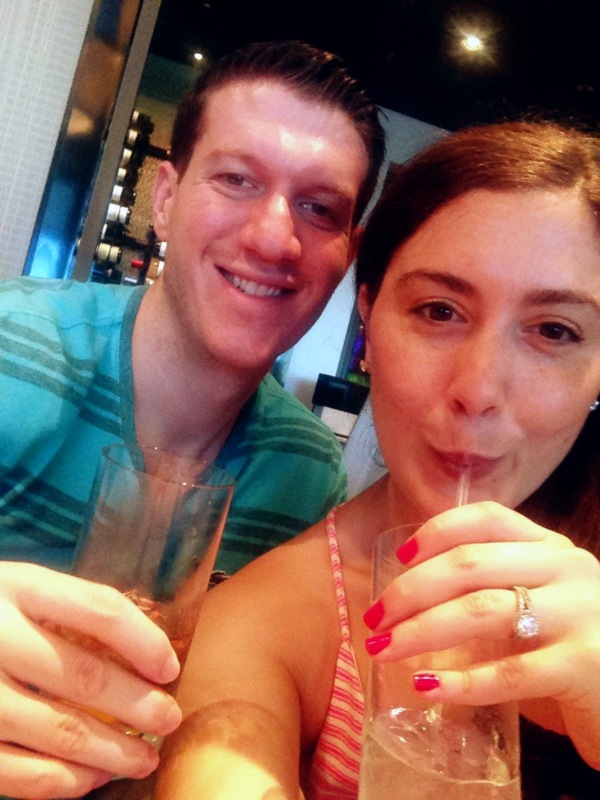 Along with an annual honeymoon, that makes three big trips a year –just the way I like it! Since Joshy’s birthday is in December and we’ve already done Europe in winter, that usually leaves us with two main options: either a Caribbean getaway or a ski trip. So in honor of my sweet hubby’s last birthday before turning 30, I took him on what I thought would be a wild n crazy cruise. 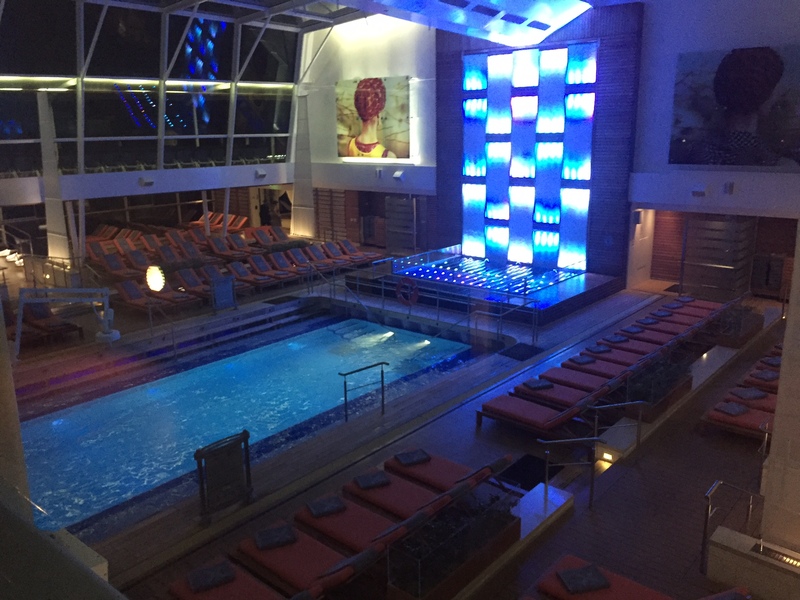 I present to you, my honest Celebrity Silhouette review. Excuse me while I chug this drink…. I guess I really didn’t know what to expect from Celebrity, but I was super underwhelmed as we pulled up to the port. The Silhouette was smaller than expected, but I made a conscious decision not to judge this book by its cover. The boarding process was easy, especially with our expedited concierge rights, and as soon as we got on board, we were greeted with a glass of bubbly. Me likey! Even upon boarding, the ship seemed small — afterall, the Silhouette is part of Celebrity’s new Solstice class which claims to have the biggest and newest ships that the cruise line offers. I guess what I’m trying to say here is that you can walk the entire ship, across every floor from end to end in maybe 30 minutes. For exactly one week, we got to call cabin 9370, a C2 Concierge Class Balcony on the Celebrity Silhouette our humble little home. Ringing in at a modest 194 square feet, there’s basically enough room to walk around the bed and sofa, and that’s about it. The balcony was almost 60 square feet, and there was just enough room for two lounge chairs and a small table. I feel bad saying this, but concierge class on Celebrity is a GIANT waste of money. At first, I thought the perks seemed valuable — priority boarding, a welcome bottle of Champagne with a fruit plate, a tote bag, nightly canapes in the cabin (whatever those are), branded robes/umbrellas to borrow throughout the cruise and perhaps most importantly, your very own personal concierge. Well, the canapes were not good (usually just olives, smoked salmon or something random on a skewer), the Champagne never showed up until I asked the concierge maybe 3 times to send it and on that note, the concierge himself sucked. He literally never remembered our conversations and almost screwed up Josh’s birthday dinner by forgetting to make the reservation. The priority boarding would have been cool, except for the fact that the boarding area was a ghost town and we would’ve skated right on by regardless. Basically, if you can get concierge class for free then by all means, take it. But never, and I mean never pay extra for this. Expert tip: if the price drops before final payment, the cruise line (or your travel agent) will adjust your price or upgrade you to a more expensive cabin category. That’s how we got our free concierge digs! Every time I think of this cruise, I can’t help but LOL. If I had to estimate, there were maybe 10 people under the age of 30, and the rest of the passengers were 65 and older. I really felt like I was on a nursing home excursion, but didn’t mind in the end thanks to dozens of old people that called us “so cute” and “a beautiful couple” repeatedly. AKA, if you’re young with low self esteem, Celebrity just might be the cure. If I had $1 for every old person that was asleep on the pool deck, or for every mudslide that was consumed on the ship, I’d be rich AF. For real, these old people drank so many mudslides that the ship RAN OUT OF HERSHEY’S SYRUP. Josh was so fascinated by this that he treated himself to a mudslide on one of our last nights just to see what all the hype was about….and I’ve gotta say, it was a real treat. In all honesty, the passengers were a sophisticated bunch — mainly wealthy Floridians and Canadians that truly love to cruise. 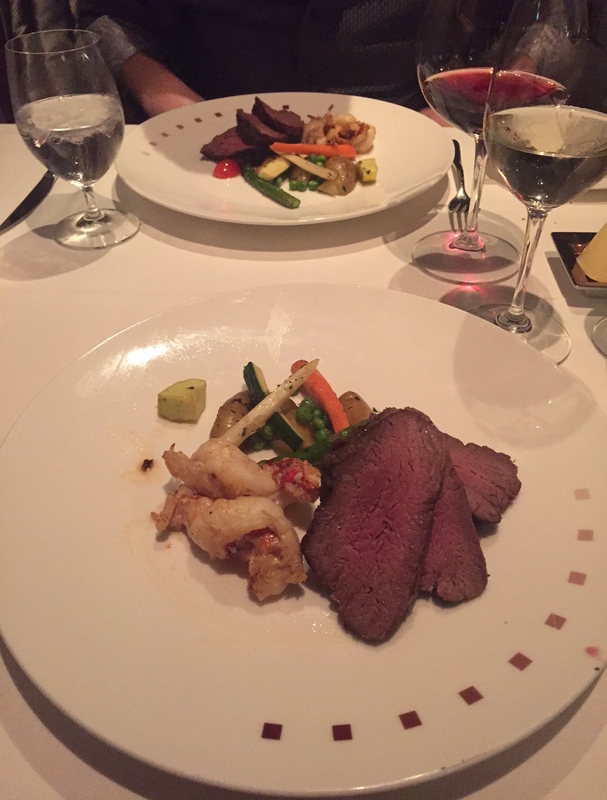 I had incredibly high expectations for the food on our ship; I can’t tell you how many people told me that we would be blown away by the gourmet meals in the dining room or even in the ship’s buffet. Like any cruise, there were hits and misses. It’s actually pretty simple: for your misses, head to the dining room. For major hits, you have to go to the specialty restaurants. 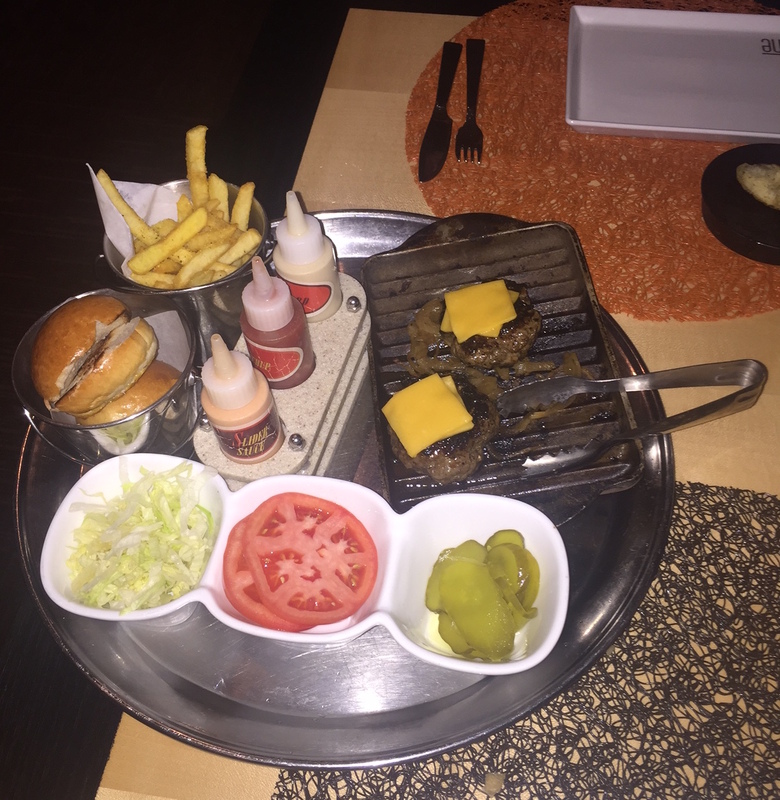 We also got to taste the funky food at Qsine, which put a creative spin on popular dishes like sliders, tacos and steak. But the best meal we had on the cruise, by far, was at Murano. We got tableside chateaubriand which cut like butter, broiled lobster tails and souffles that were all to die for. Expert tip: I highly recommend buying a 3- or 4-pack of specialty dinners as a bundle. You’ll end up saving maybe $50 or $60 and have some of the most delicious and memorable meals. Totally worth it, especially if you’ve got onboard credit to burn. 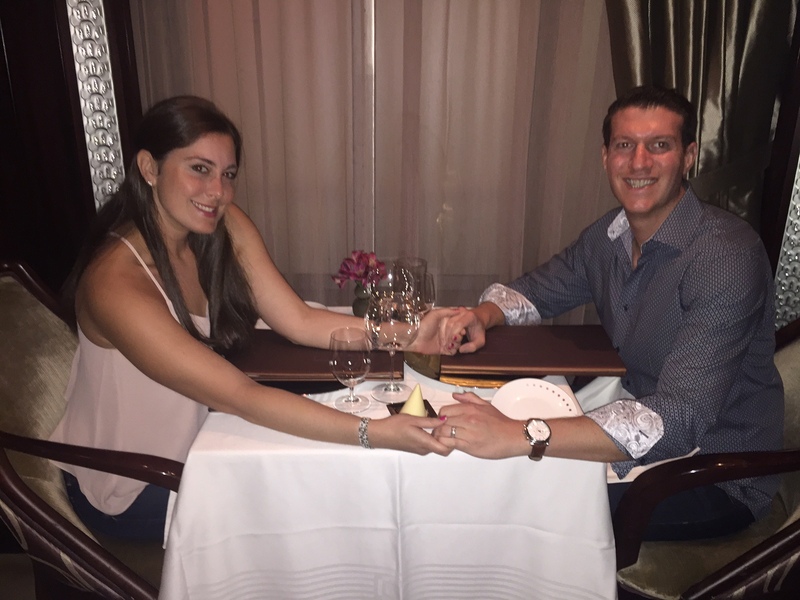 The food in the dining room isn’t bad, per se….it just isn’t very good. Yay! Another opportunity to LOL. It’s pretty easy to sum this up — the individual acts were all amazing, and the group shows were painfully embarrassing. Basically, the comedians and singers that are brought onto the ship as individual acts are stellar, like really, really talented. But then there’s the Celebrity productions that are so bad, you will undoubtedly have several moments of confusion thinking, “wtf is this? !” throughout the show. I think in an effort not to pay licensing fees to broadway shows or musicals, Celebrity came up with their own shows. Considering that the cruise line attracts people in their 60’s and above, I wasn’t surprised to hear many an old person complaining that they don’t want to hear Bruno Mars, Taylor Swift and Katy Perry covers woven into spotty plot lines that make no sense. I come with good news, though. If you’re a karaoke lover, you’ll enjoy the friendly competition that exists on Celebrity. These people are the REAL DEAL. They come prepared, and if you try to sing a Disney song like I did for fun, don’t expect any roaring applause. 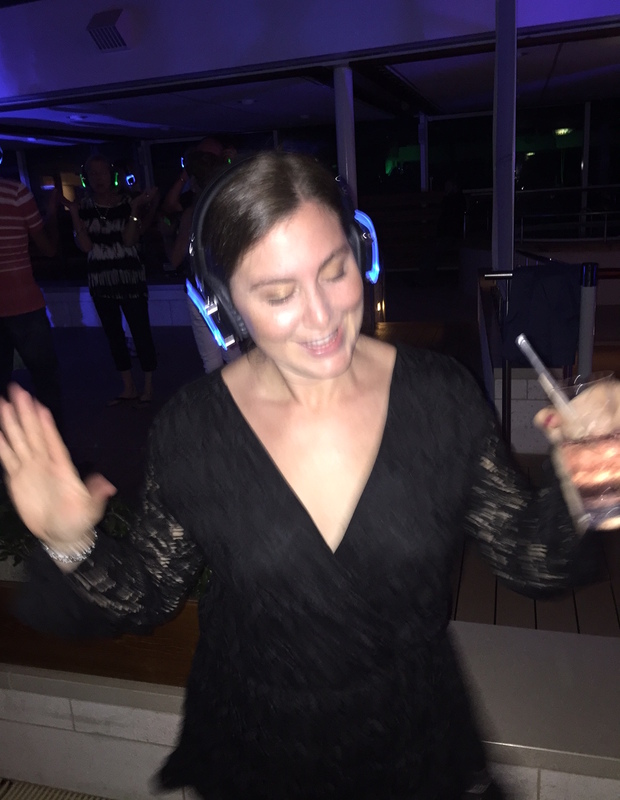 There wasn’t really a club on the ship, but the closest we came to a raging night out was during a silent disco on the pool deck. The daytime entertainment is really fun, too. We enjoyed the games at the pool and especially enjoyed watching the old ladies learn the cha cha slide. I can also proudly announce that I won the grand prize in BINGO, so one thing is settled: good things come to those who wait. 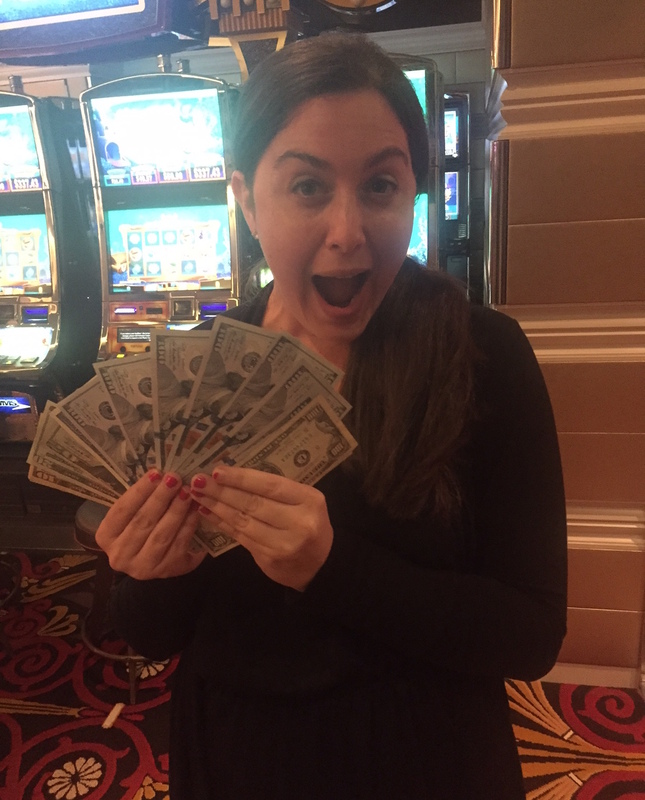 I won the money. The money is mine. On the ship, you’ll find a gelato shop, bakery, ocean-facing fitness center, one main pool, several whirlpools, a Canyon Ranch Spa, 5 or 6 different bars and my personal favorite, the solarium pool — basically an air-conditioned “indoor pool” with panoramic ocean views and the comfiest orange chairs of all time. Instead of raging clubs and a waterpark, the ship has a card room and a library, from which I borrowed 4 or 5 different books. 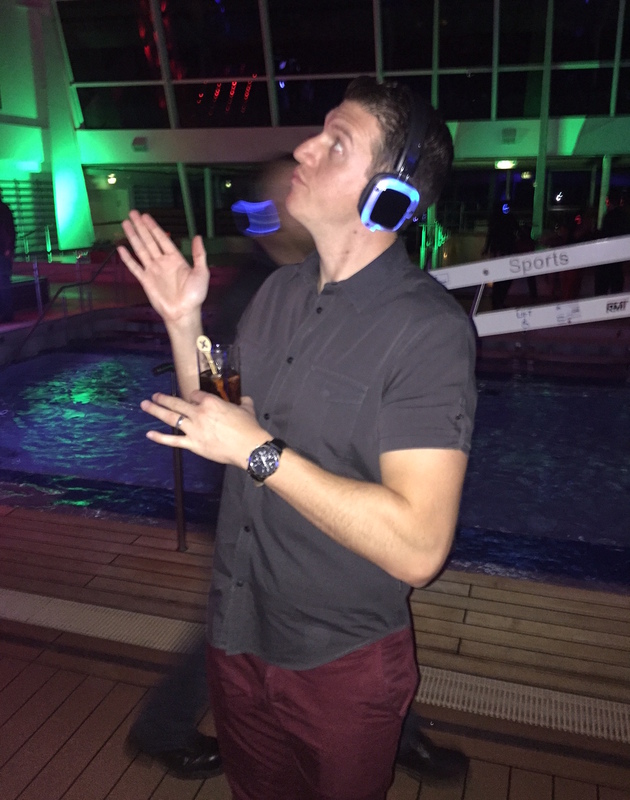 I’d be lying if I said I didn’t have a great time on the Celebrity Silhouette. I made so many friends in the solarium pool, at the ice-topped martini bar before dinner and in the karaoke lounge (sorry Gertrude, I know I promised to K.I.T.!). I got to read a bunch of books, which I love, and even though we took FULL advantage of the open bar situation, I came home feeling fresh and new. I think if you go on the ship knowing what to expect — that it’s going to be a classy and more sophisticated cruise geared towards mellow adults — than you’re in for a fun and relaxing experience. Click here to contact us with questions and inquiries. My girlfriend and I are taking our first ship cruise on the Silhouette for New Years for 7 days. What time did you all go? We are in our early 30s and I was wondering about the age situation. Do you think there will be more young people on a new years cruise? 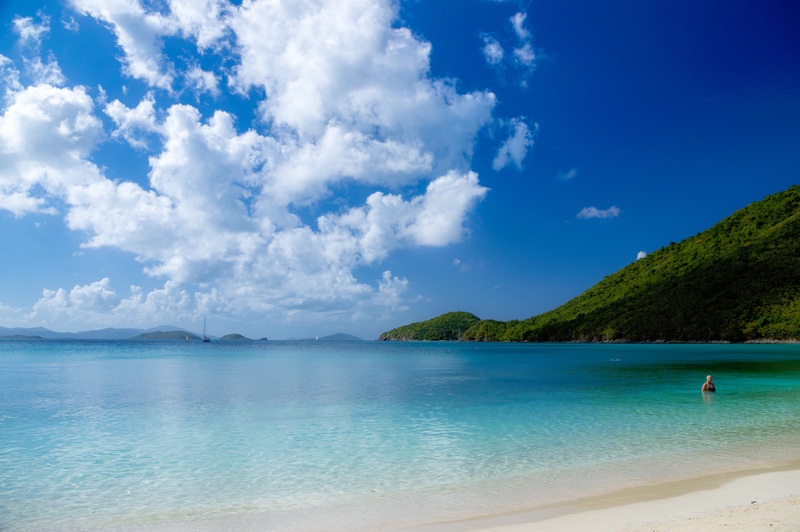 do you have any tips or know how to find cruises that feature a younger crowd? We still plan to have a blast regardless. Thanks for your great review! Hi Michael! So sorry that we’re only just seeing this – did you already cruise or is your experience coming up this week? I’m sure you will have an awesome time! The holidays are a great time for travel because you tend to get guests from all age groups and walks of life – in the future, we recommend the newer RCCL and NCL ships for a more vibrant atmosphere and overall younger vibe, but the ships are definitely bigger and more chaotic. Truly, no cruise is a bad cruise. Enjoy!! Thanx for your review Allison. This sounds EXACTLY what we want. You picked the wrong cruise. We want quieter and more sophisticated. We don’t want loud party people and raging crowds. The cabin sounds very small. We booked Conciege balcony and the Booker said it is 250 sq. ft. Was your cabin at the front or the back of the boat? Also the balcony sounds tiny. We have cruised before on giant liners and we don’t want to be on board with thousands upon thousands of people all lining up for buffets and boozing and partying all night. I’m looking forward to our Baltic Cruise next summer. Yes, Allison, this is an old people cruise. We have taken over 100 cruises since 1964 we are elite plus on Celebrity. Several on Silhouette. Next one March 2019. We always take Aqua class or a suite cabin. This gives us the Blu restaurant for breakfast and dinner. So, no craziness in main dining room. Our next cruise in Jan is on Silver Seas,another more sedate line. We also like Oceania and Azamara. We still loved our “old people” cruise 🙂 I am an avid reader, and I was able to enjoy many books, take relaxing naps out at sea and eat delicious food. It was truly an awesome cruise and we’d take it again, but it just might not be the best fit for everyone. Would love to hear about your time on Silverseas! Happy cruising! We gave been on every Celebrity Cruise ship except one. We have loved all the ship as well as the food in the main diiing room and buffet. Yes, Celebrity caters to senior citizens. Instead of putting Celebrity down “you “ should of done your research on the cruiseline. I don’t mean to sound mean this is not Celebrity’s fault you didn’t like the ship it is yours for not choosing Carnival or Norweign cruise lines if you didn’t want to be around older folks. Sorry you didn’t want to be around me. We cruised on the silhouette Jan 2nd with two 23 yr old gals. Met up with a great groups of college age plus. Best cruise ever! With the mega ships it’s actually harder to find your people. It all depends on your travel dates. My experience cruising has found that young people really don’t take full 12 day cruises in January. For a number reasons. They may not be able afford it, may not be able to get off from work or the kids are in school. We have Elite status with Celebrity and have never had bad experience. We cant say the same for other cruise line we sailed. Every once in awhile there was a glitch. We cruised on the Silhouette, departing January 23 and think perhaps this is the cruise you describe. I have to admit that I commented to my lady this is gereatric cruise. But, we enjoyed the cruise and each other, as well as having met some really nice people of different ages and means.